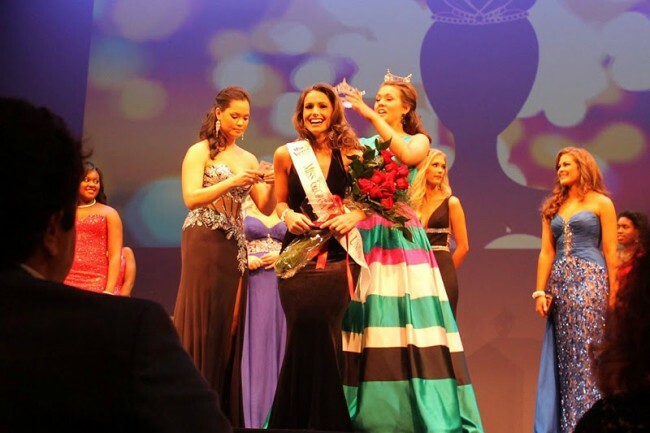 Georgia Southern junior Harley Strickland was crowned Miss Georgia Southern University on Saturday evening during the 68th annual scholarship pageant hosted by the University Programming Board at the Performing Arts Center. Strickland was chosen by the five judges out of 18 contestants who graced the stage as they competed in categories including talent, swimwear, evening wear and onstage question. The contestants also competed in a private interview prior to the pageant. A journalism major from Claxton, Georgia, Strickland will go on to represent the University at the Miss Georgia Pageant in June. In addition to being crowned Miss Georgia Southern, Strickland will receive a $2,000 scholarship, ​which includes a Miss Georgia Southern travel stipend, 25% off at Frills by Scott during her reign and a complimentary photo shoot courtesy of Lori Grice Photography.